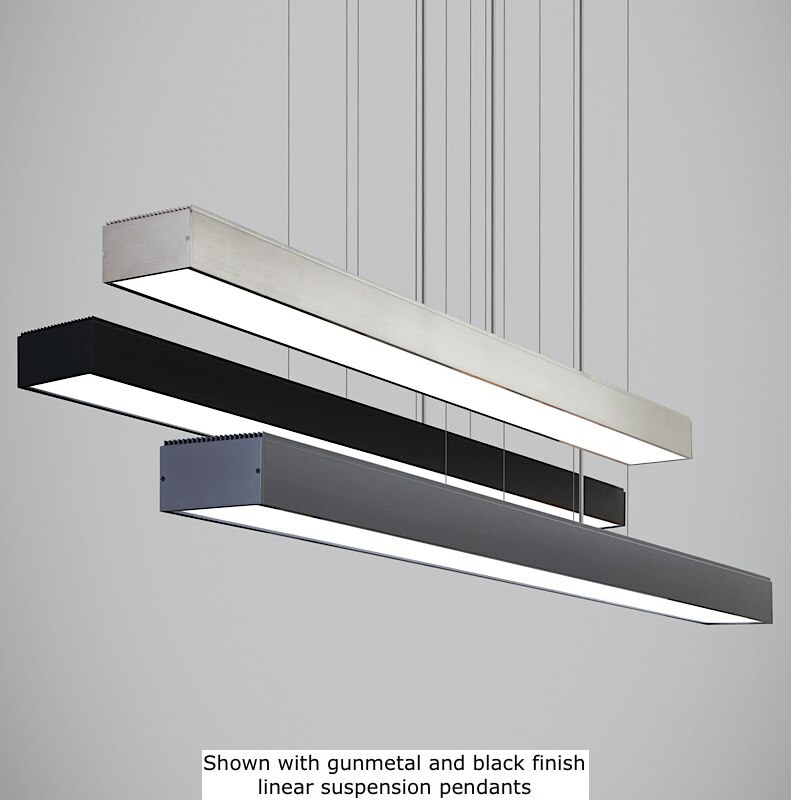 Simple strong lines make this a versatile lighting fixture for your home or office. 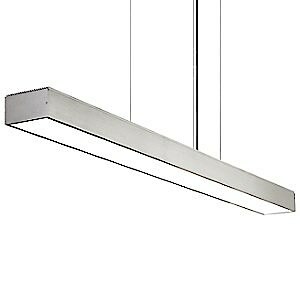 With LED lighting, this suspension fixture performs beautifully and lets it's sophisticated design take center stage. Use this over a kitchen island, dining room table or in a business setting such above as a conference table; this piece will bring a sleek look wherever it is placed. Includes 40 watts of field­ replaceable LED strips (3500 lumens, 3000K). Includes 21 feet of field­cuttable cord and twelve feet of aircraft cable. Dimmable with low­ voltage electronic dimmer (not included).